How our branded logo balloons help you get noticed. Logo Balloons getting you noticed. 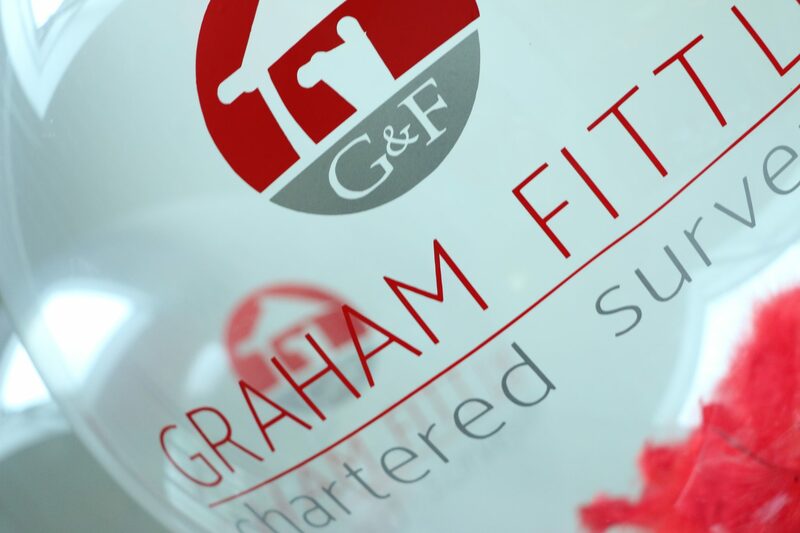 Just before Christmas we were asked by a local Chartered Surveyors firm for some branded balloons. They were having a Christmas Party and wanted some decorations. 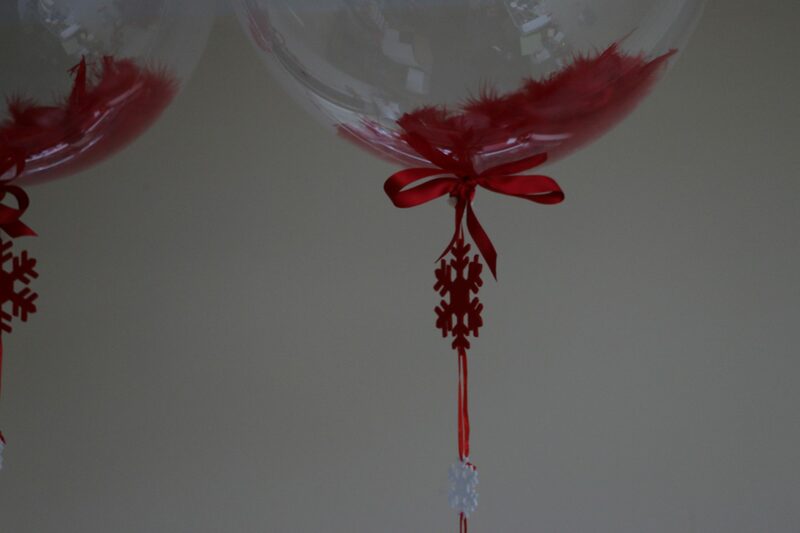 We used red feathers to fill the balloons which matched the colours of their logo perfectly. Red ribbon fastened the balloons nicely together really finishing them off. The stems of the balloons looked both very professional and festive, very fitting for our clients brief. All of our balloons come individually boxed making them easy to transport and also adding that extra bit of theatre when the balloons float out of the boxes. Needless to say Graham Fitt, Chartered Surveyors were over the moon. They had taken the balloons to their Christmas venue where they were entertaining a raft of people. The feedback was super. They had so many comments from their guests and from other people at the venue. In fact even when the balloons were taken outside people were stopping them about the balloons. They could not have asked for better PR. Our balloons helped get them noticed by others, made beautiful decorative pieces and had people stopping on the streets about them. Our balloons are just perfect at getting your company noticed. If you are having a trade show or exhibiting somewhere, you are guaranteed that people will look at these balloons with your logo on them. Our balloons stand out and get attention. People naturally look up at them. They stand at about 7-8ft tall and float for a few weeks. 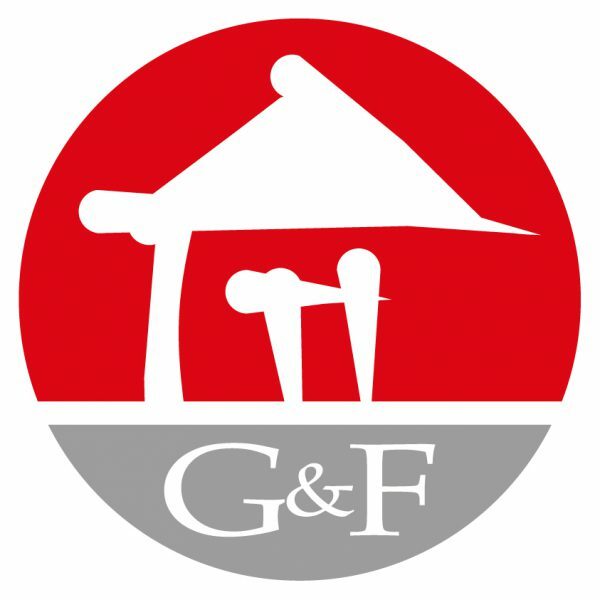 Your business will get noticed and also generate that feel good factor.